For homeowners looking for a traditional roof finish with modern thermal efficiency, our tiled carbon slate roofs are perfect. Advantages of Tiled Carbon Slate Roofs? Immaculate Home Improvements proudly work alongside one of the most respected names in the roofing industry to offer roofs of exceptional quality, for a highly affordable price. Our tiled roofs that our kinder towards the environment. Our carbon tiled roofs are 100% recyclable, made from quality fibre cement. Our tiled roofs that our kinder towards the environment. Our carbon tiled roofs are 100% recyclable, made from quality fibre cement. Used in an extensive variety of applications and particularly suited to complex roof geometries of fifteen degrees. Immaculate Home Improvements supply and fit carbon slate roofs are available in an attractive range of desirable colours. Have peace of mind when you invest in carbon roof from Immaculate Home Improvements, with a fifteen-year guarantee at no extra cost. Immaculate Home Improvements offer our supply and fit for carbon slate roofs in Southbourne, Bournemouth, Christchurch, New Forest, Sandbanks, Poole, Lymington, Boscombe, Wimborne, Corfe Mullen and nearby Dorset areas. For certain projects, we will travel further afield. Please get in touch to see if we offer our services in your area. Expert installation – Immaculate Home Improvements are an expert of home improvement and construction company, with over twenty-five year’s experience. Taking pride in all work we achieve. 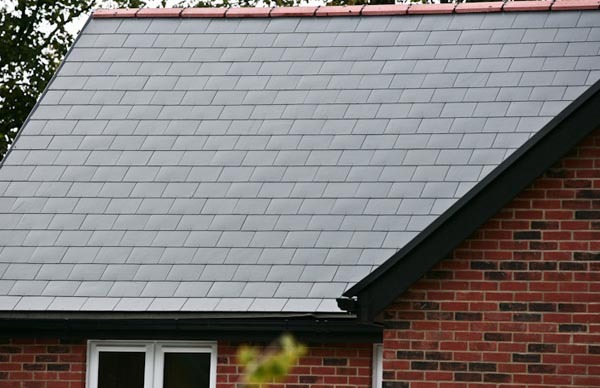 Energy saving design – Our prestigious slate roofs have been specifically designed to help you save money on your energy bills, and lower your annual carbon footprint. Our roofs can achieve an A+ status. Installation and customer service – When you are happy to go ahead with your new carbon slate roof, we will arrange a time a time that best suits you to complete the work. We aim to cause minimal intrusion into your day to day life when working on your property. Free quote and low prices – Immaculate Home Improvements offer no obligation roof quotes. We never pressure sell, here to help you make the right choice for your Bournemouth home. Immaculate Home Improvements offer the most competitively low rates for tiled carbon roof slates in Bournemouth. We are a full-service home improvement and construction company, we never outsource our work. For your free tiled carbon slate roof quote please get in touch via our online contact form, or give us a call on 01202 427700. Our polite team members are happy to answer any questions you may have.